Come to this little gem of a park for a service under the trees that will focus on finding spirituality in nature. We'll do some standard prayers, but also many readings about the natural world in the Jewish tradition. We'll include Kaddish, but no Torah service. Children's play area is nearby. You can even grab breakfast at the old-fashioned Woodlawn Coffee and Pastry, 808 NE Dekum. Bring lawn chairs, blankets, cushions or other things for your comfort. 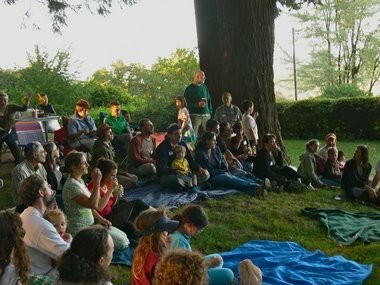 Hosted by Havurah Shalom, led by Diane Chaplin. At Woodlawn Park, 970 NE Dekum Street, Portland. Melton Adult Jewish Learning Relaunches... Classes Open!